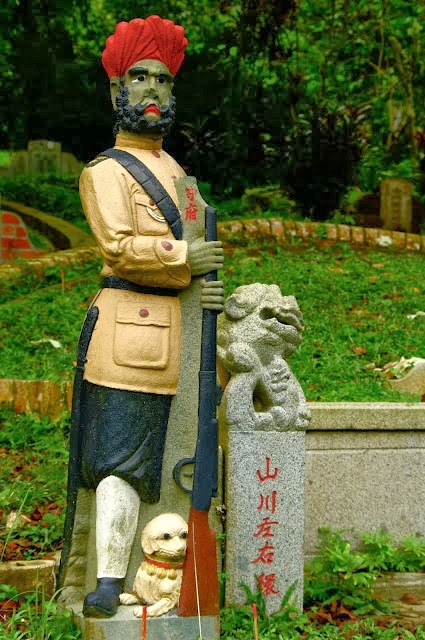 One of Singapore’s oldest cemeteries “Bukit Brown” has 2 Sikh statues of Sikh guards next to a grave belonging to a prominent Chinese physician Chew Geok Leong who died in 1939. It is documented at the grave site that he had the statues made while he was alive, so that after he died these statues would literally guard his tomb. 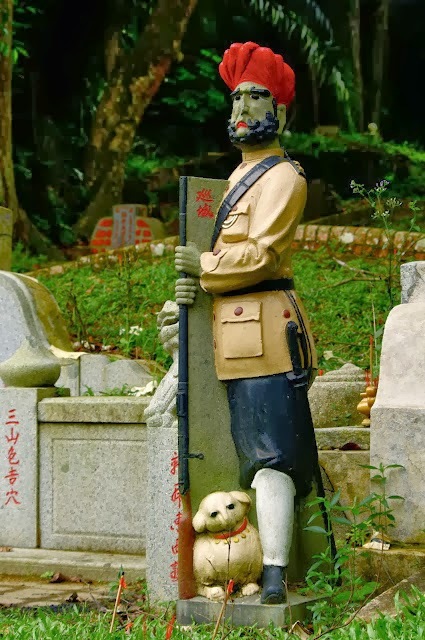 The Chinese tradition of the particular community is that after they have physically died they make statues of basically anything that they think will protect them in the “other world”. 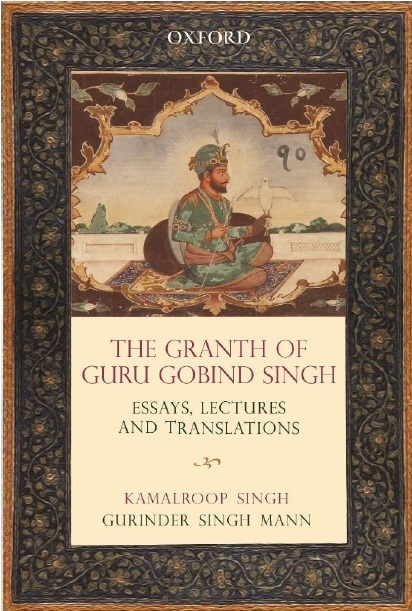 This Chinese physician was so amazed by the valor, courage and bravery of Sikhs that he wanted Sikh soldiers to protect him in the “other world”. Sikhs don’t believe in graves, but the fact is, this person recognized Sikhs is a big honor. Sikhs fought in various wars and campaigns for the British empire. During WW-1, Sikhs fought in China, France and Belgium (Flanders), Mesopotamia against Turkey, Iraq, Iran, Egypt, Palestine, Gallipoli and in east Africa. In World War-2 Sikh soldiers fought in the western desert, in the middle east, in Eritrea, Ethiopia, they fought in Italy and took part in the liberation of Greece. But against Japan in the east, British Indian Army played its greatest role right through from the reverses of 1942 to the final overwhelming victory of 1945. Besides this, more than quarter of a million were wounded, ill, or taken as prisoners of war. Information by Bhupinder Singh Holland.